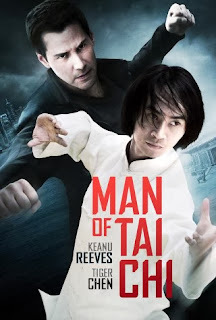 The movie sees Keanu Reeves play an underworld boss, Donaka who runs an underground martial arts fighting service which broadcasts bloodsport duels to the affluent. The movie starts off with a fight to the death match between two fighters where the victor refuses to see it through. The victor is killed by Donaka after he finds out that the victor had being a police informant. With the loss of his promising fighter, Donaka turns his attention to Tiger Chen, a courier service delivery boy who is also a student of the Tai Chi martial arts. In a cleverly orchestrated move, Donaka gets Tiger Chen to fight in his underground bloodsport scene which of against his ethos. The movie offers a refreshing plot, with well choreographed and realistic fights, well until the final show off between Tiger Chen and Keanu Reeves (where Keanu Reeves drags in his suckiness as an actor into directing movies). The last fight which in most movies tend to try to outdo the others, in this movie it just got worse, the fight seemed slower, and less well choreographed with the tricks used being too well pronounced. When compared to the other fights it was obvious that they had to take care as not to hurt the director during the stunts.